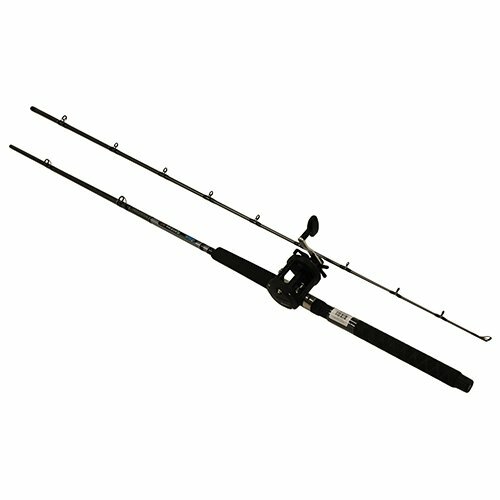 Okuma Star Drag Downrigger Trolling Combo has a 2-piece 8'6" length medium rod and comes with the CLX-300La Reel. The Great Lakes Trolling combo has a durable E-glass blank construction with double footed aluminum oxide guides. Reel has machine cut brass gearing, stainless steel hooded reel seats and corrosion resistant graphite spool.